THIS BOOK IS ABOUT HEFFERS, published on 21st October 2016, aims to convey something of the story, style and character of the Cambridge phenomenon that is Heffers, the bookshop that is ‘known all over the world’. 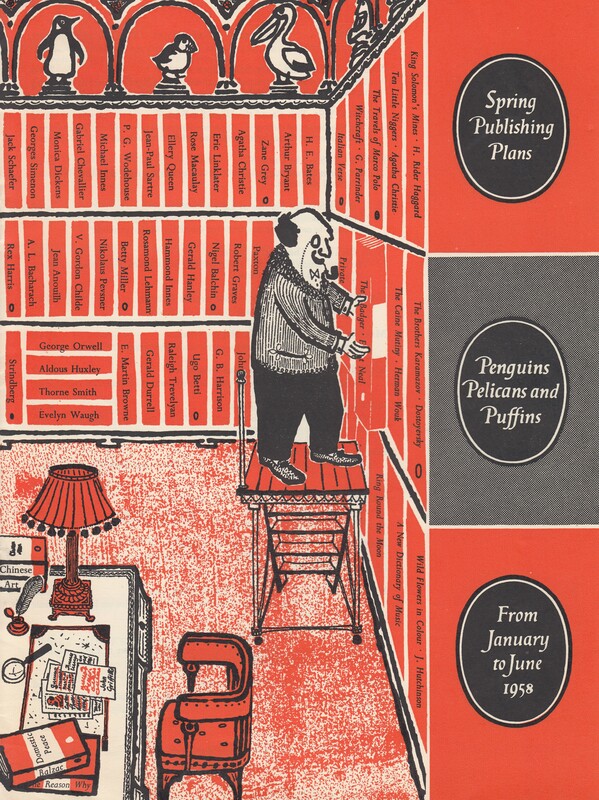 This post introduces Reuben Heffer (a key figure in the history of Heffers), and his association with Penguin Books. Employees of the firm generally referred to members of the Heffer family as ‘Mr’ Sidney, ‘Mr’ Ernest etc. and the ladies as ‘Miss’, although this convention had mostly fallen out of use by the mid-1970s. 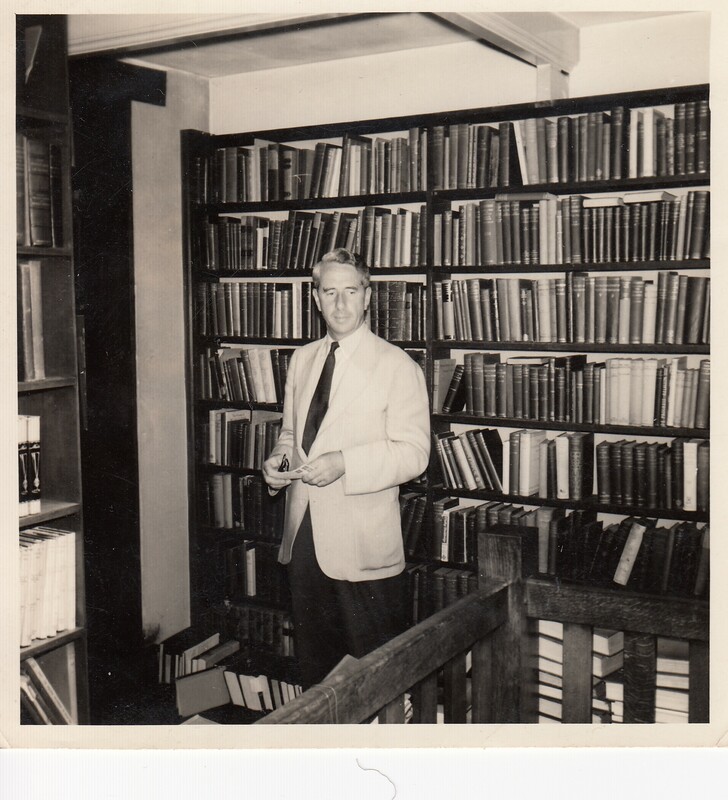 Reuben George Heffer (1908-1985) is still sometimes referred to as ‘Mr Reuben’. 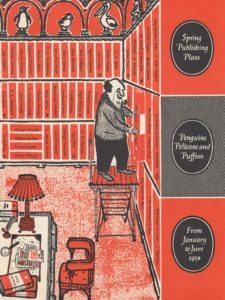 Over the years Reuben had built such a good relationship with Penguin Books that he was invited to be a contributor to the publication Penguin’s Progress 1935–1960, a celebration of the publisher’s Silver Jubilee, issued in 1960. He was in good company; other contributors ‘from the outside’ were Compton Mackenzie, Michael Grant, Elliott Viney and Richard Hoggart. dedicated to Penguin and its associated paperback brands, located at 51 Trumpington Street, Cambridge (on the corner with Downing Street). This was something of a coup for Heffers in the Cambridge bookselling trade, and a key Heffers rival was not at all pleased, as will be revealed in THIS BOOK IS ABOUT HEFFERS. Nineteen-sixty was also the thirtieth anniversary of the death of author D.H. Lawrence, and, to mark the occasion, Penguin Books decided to publish seven of his titles, including the unexpurgated edition of Lady Chatterley’s Lover. Charged under the Obscene Publications Act of 1959 for doing so, the publisher was put on trial at the Old Bailey, represented by Michael Rubinstein, ‘the book trade’s lawyer’ and defended by Gerald Gardiner QC. On 2nd November 1960, Penguin was acquitted when the jury passed a ‘not guilty’ verdict. In the end, Reuben, who had been listed as a possible witness, was not one of the thirty-five called. THIS BOOK IS ABOUT HEFFERS contains previously unpublished images of the Heffer’s Penguin Bookshop in Cambridge at the time it opened. In THIS BOOK IS ABOUT HEFFERS, former employees recall reactions to the publication. THIS BOOK IS ABOUT HEFFERS by Julie E Bounford will be available from Heffers of Cambridge, from November 2016. Founded 1878 in London by the bookseller Quaritch, the Sette today remains a small social club dedicated to book collecting, printing history, and bibliophily. Welch, J. (2004) ‘Heffer, Reuben George (1908–1985)’, Oxford Dictionary of National Biography, Oxford University Press. The Cambridge Review (A Journal of University Life and Thought), was first published in 1879. It continued for many years after the Heffers acquisition and, after 119 volumes in total, finally ceased publication in 1998. Published in the Cambridge Review, 1986. Black, M. (2011) Learning to be a Publisher: Cambridge University Press, 1951 –1987, Personal Reminiscences, Cambridge University Press.